Science Comedy produces evenings of stand-up comedy, funny science stories, songs, and anything else that sounds relevant and fun. Performers include scientists, veteran storytellers, hilarious local and national professional comedians, NYTimes best-selling authors, Pulitzer Prize winners, and science writers who usually are all working in the science field. 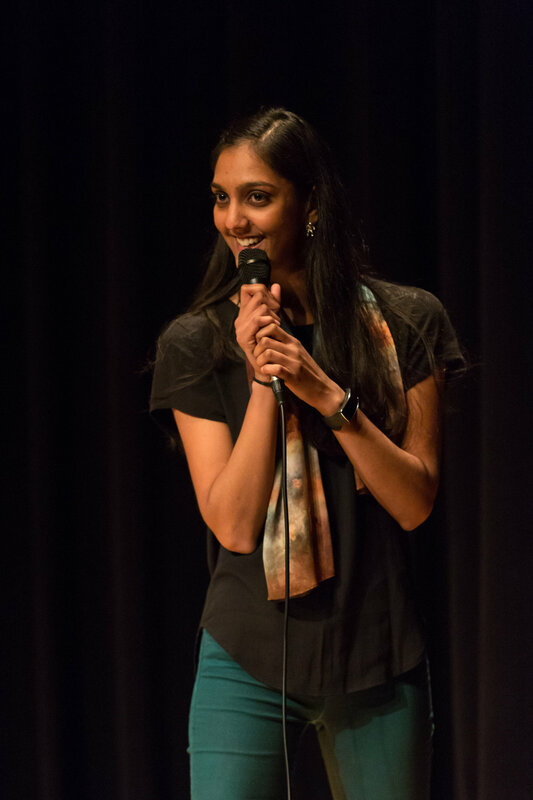 Science Comedy primarily runs shows in Washington, D.C. where it was started by science writer Kasha Patel. Patel is currently looking to expand it to other cities. If you're interested in bringing Science Comedy nights to your city, contact her at DCScienceComedy@gmail.com. "Seriously, this was an excellent show!" "I didn't know what to expect, but it was fantastic!"